The Rose of Roscrae has finally set sail for the home isles. Nearly six months after Tom Russell’s epic western opera/musical hit the airwaves, the touring version has crossed the pond, bringing its splendour to venues across Britain and Ireland. 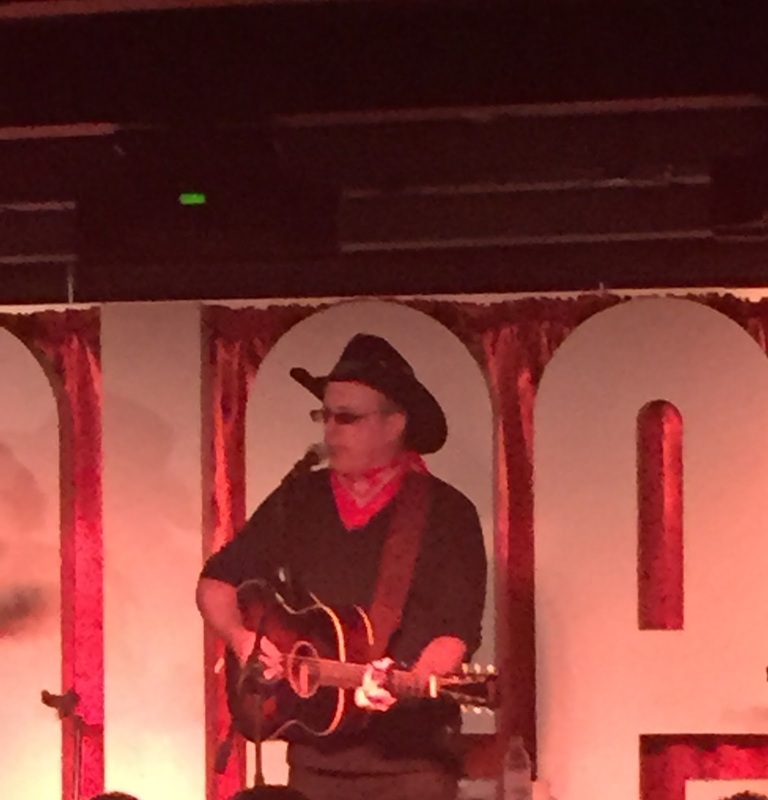 The Glee Club in Nottingham hosted Russell for the Midlands leg of the tour with legions of devoted followers eager to lap up the old and the new in the inimitable style of an artist possibly construed as the ‘Balladeer of the West'. Accompanied by the smokin’ hot guitar pickin’ skills of his Italian sidekick, Max di Bernadi, the bold and brash troubadour upholding the traditions of the West, rambled through a pair of hour long sets with projected passion and an innate ability to stir the immortal cauldron of prose, poetry and song. Ultimately Tom Russell is a true artisan and all assembled partisans were enshrouded in the warmth and sincerity of his desire to entertain with a strong message. It was eight years since Tom Russell had last been caught live and this seemed just like a mere flash when he threw in ‘Who’s Gonna Build Your Wall’ as the evening’s pre-encore finale. Given a timely renewal by the comments of Donald Trump, the fired up Russell continues to champion the underdog and folks needed little invitation to share both the words and the sentiment. Forever mischievous with no shortage of irony, Russell orchestrated the evening with equal amounts of wit, observation and the sheer totality of mastering the art of the meaningful folk song. By the time ‘Touch of Evil’ had served as the show’s climax, it was straight to the merch table to seal the deal of audience inclusion. After listening to all two and a half hours of THE ROSE OF ROSCRAE on numerous occasions around release time, thoughts had turned to how the record would be presented live in lieu of the Broadway musical version. The veil of intrigue was lifted during the first half of tonight’s show as Russell served up a precis of the project, merging elongated musings with a select half dozen of the songs which best represented the album in the gig arena. Few would argue that ‘The Rose of Roscrae’, ‘Hair Trigger Heart’, ‘When the Wolves No Longer Sing’, ‘I Talk to God’ and ‘Jesus Met the Woman at the Well’ are among the cream of the album’s standard songs and all were delivered wrapped in their mighty grandeur. Okay we didn’t have Gretchen Peters, Maura O’Connell and the McCrary Sisters to impose their vocal charm, but the lyrical sentiment and outstanding melodies are perfectly filtered through Russell’s voice and guitar. On the topic of Gretchen, and jumping ahead a little, without surprise ‘Guadalupe’ did feature in the second half and her husband Barry Walsh, co-producer of the record, got mentioned as well. If you are not excited by an event filled with enlightened onstage chat and ramblings, Tom Russell may not be up your street, but you will be missing out on one of America’s great musical preachers encapsulating all that is marvellous about capturing history within the realms of folk music. 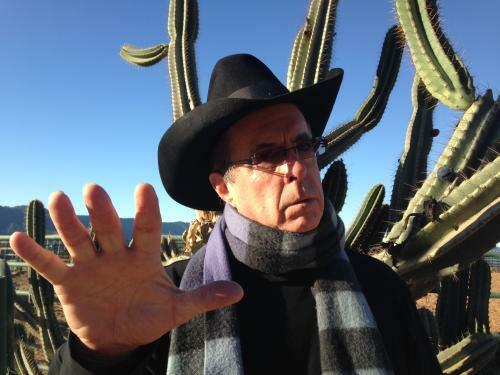 Being brought up in Southern California and spending many years frequenting border locations such as El Paso and Santa Fe, the spiritual excitement and the plight of the Mexican people is etched far into his heart, as much as the romanticism and reality of the cowboy. Listening to Tom Russell for two hours is a mind stretching experience and one highly recommended for anyone remotely interested in the quintessential history of the wider concept of Americana. The first set ended with a version of one of Russell’s older songs in ‘Tonight We Ride’ which acted as a prelude of what to expect after the break. Requested old favourites like ‘Spanish Burgundy’, ‘St Olav’s Gate’, Nina Simone’ and ‘Stealing Electricity’ brought an air of familiarity to the evening for those yet to take a fatal addictive dose of THE ROSE OF ROSCRAE, and surely time will add many of the new songs to the mantle of live staple. Apart from the two second half songs mentioned earlier in this review, the standout number of this segment was ‘East of Woodstock West of Vietnam.’ This precise geographical description of the year (1969) Russell spent teaching Criminology in Nigeria emerged as a top track on the BLOOD AND CANDLE SMOKE album and was listened to with acute attentiveness this evening. 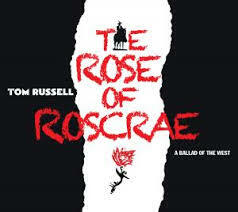 Within the constraints of a live gig, Tom Russell managed to whet the appetites for those new to THE ROSE OF ROSCRAE and re-enforce its emotive appeal to those already tuned into its grand presentation. By referring to it as his ‘Les Miserables’, Russell did not disguise a great personal pride in the project and this sheer enthusiasm is one of his many redeeming features. Hopefully it won’t be another eight years until another Tom Russell show is attended. Life is too short not to maximise opportunities to savour his spiritual take on the West through the spectacular medium of prose, song and wider art.